Tri 4 Schools Round Up is Back! For the month of August, when you make a purchase at Fleet Feet Sports Madison or Sun Prairie we will ask you to "round up" at the register to the nearest dollar. The amount you "round up" will be donated to Tri 4 Schools, a local non-profit that supports kids and schools through running races and triathlons. So if your total is $105.50, you can donate $.50 (or more) to Tri 4 Schools! 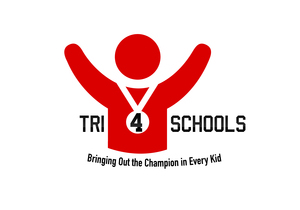 To learn more about this great organization, check out tri4schools.org.